Have you ever looked at a book and thought there was no way it could be as good as the cover? 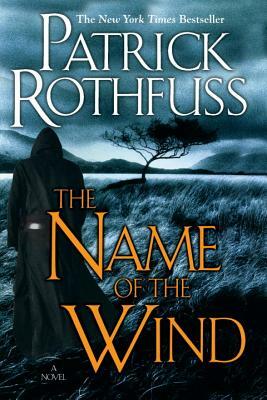 Well I got that feeling from The Name of the Wind. The book was recommended to me by many different people, so I put it in my “to be read” (maybe) someday pile. After hearing about it yet again I decided to move it up my list a bit. Then finally I had nothing to read so I thought why not. The quote on the back of the book blew me away before I even got to page one. This book will pick you up by the throat and slam you down. Over and over until you think you can’t take it anymore. Then it will do it again. The strange thing is that you will enjoy being slammed. You will be asking for more. You’ll be out of breath trying to keep up with the speed and finesse of the author’s words. Do not let this one collect dust, pick it up. You’ll read it till the binding disintegrates at the tips of your page flipping fingers. I promise.